Bang Bang Shrimp Dip is perfect for a party appetizer or tailgate recipe. I’ve never been a big seafood fan although I really wish I could get more into it. People are always shocked that this “foodie” isn’t a seafood lover. However, every once in a while, I will find a seafood dish that I do like. Bonefish Grill’s Bang Bang Shrimp appetizer is one of those. This is one of the very few ways that I’ve discovered that I will eat and actually like shrimp. 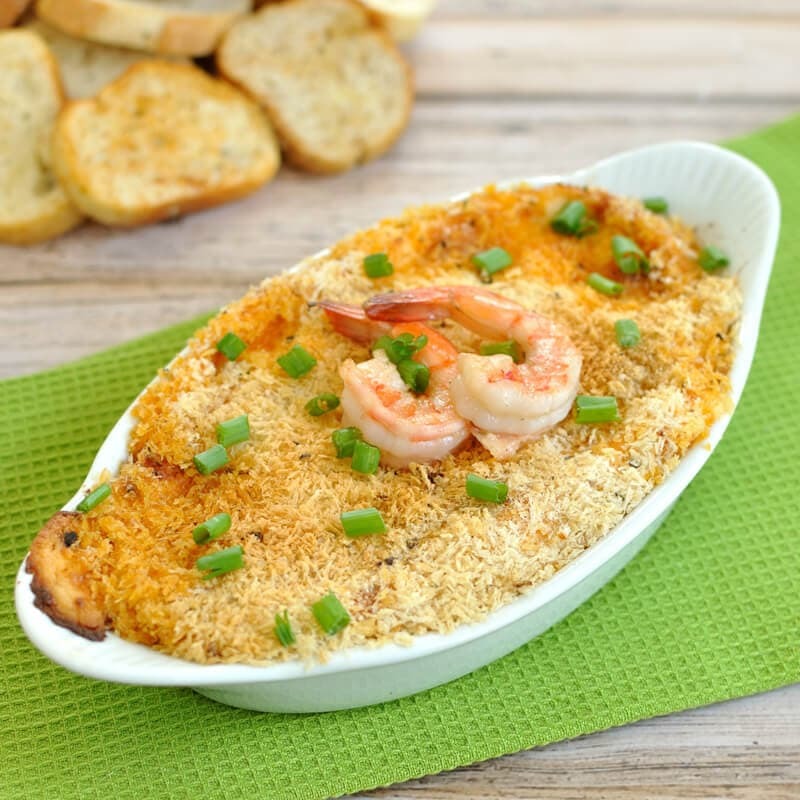 Today, I bring the flavors and textures of this famous appetizer into a new dip recipe- Bang Bang Shrimp Dip with cream cheese. 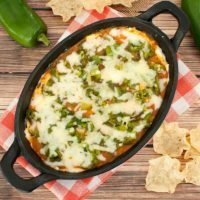 give this dip a wonderful taste with just the right amount of heat. 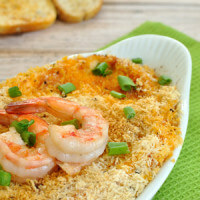 This Bang Bang Shrimp Cream Cheese Dip is served hot out of the oven and is amazing spread on top of toasted baguette slices. 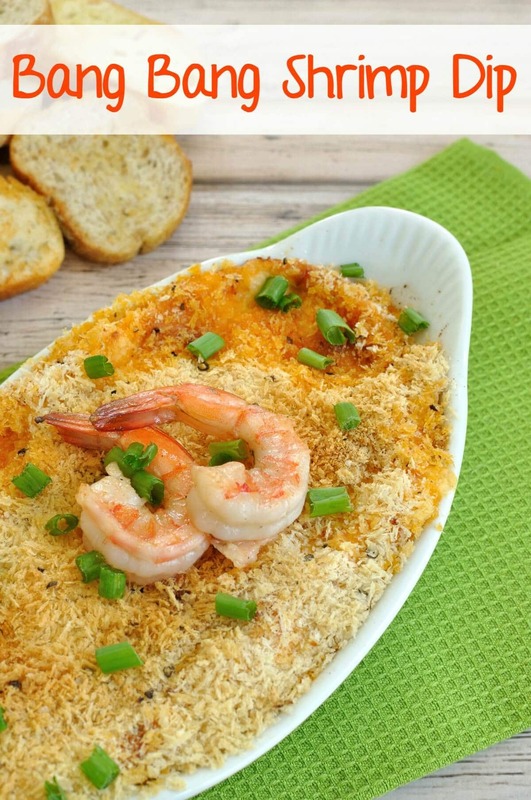 Easy cream cheese dip featuring the flavors of the famous Bang Bang Shrimp appetizer. 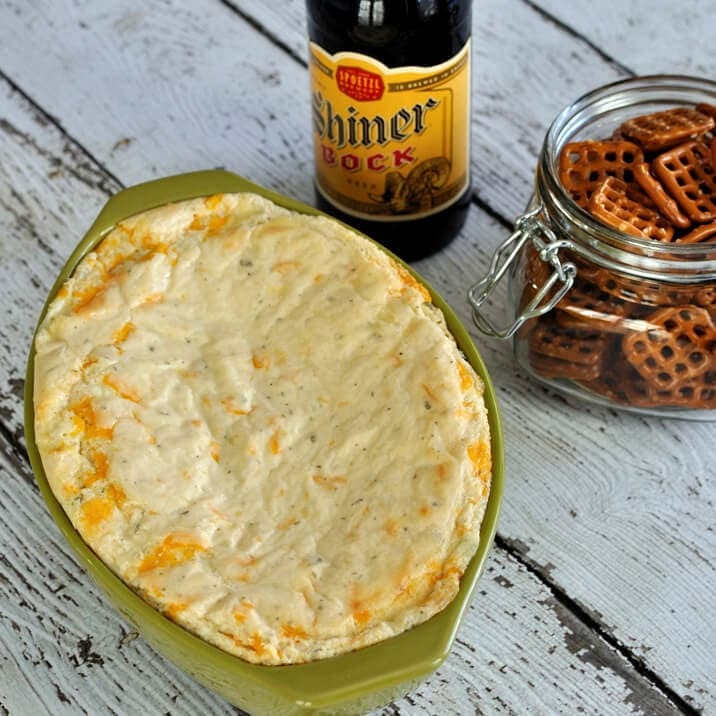 Bang Bang Shrimp Cream Cheese Dip makes a great party or tailgate recipe. Using a mixer on medium speed, beat the cream cheese until smooth and creamy. Add in mayo, Sriracha, sweet chili sauce, rice vinegar and mix to combine. Set aside. Add butter to a large skillet and melt over medium heat. Add shrimp and cook until shrimp turn pink, stirring occasionally (2-3 minutes). Remove shrimp from pan and if desired, set two shrimp aside for garnish. Chop remaining shrimp into small pieces. Add chopped shrimp to dip mixture and stir with a spoon to combine. For the topping, mix Panko crumbs, garlic powder, onion powder, black pepper, and sea salt in a bowl. Sprinkle topping over dip mixture and bake dip for 25-30 minutes or until edges are starting to bubble. Turn off oven and turn broiler on low to finish browning the topping. Watch carefully as this will only take a minute or two. 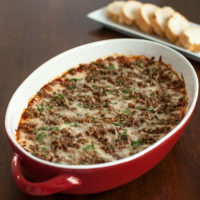 Remove dip from oven once golden brown on top. If desired, garnish with green onion and the two reserved shrimp. This is one of my favorites! So good!